MEDICA 2017 provided an ideal platform to showcase the TracPatch wearable device and its innovative connective technology. El Dorado Hills, CA, November 21st, 2017 Consensus Orthopedics Inc. introduced TracPatch™ at MEDICA 2017 to a phenomenal response. 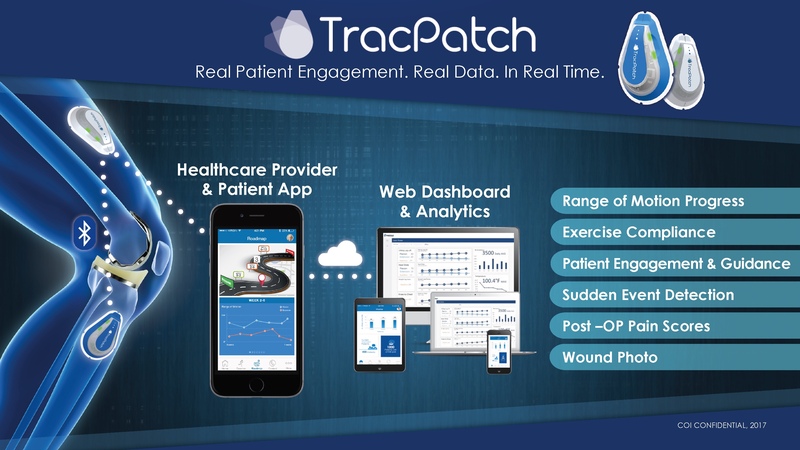 TracPatch asserted itself as the leading wearable device for total joint patient monitoring. 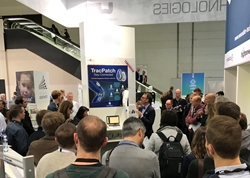 Partnering with Wearable Technologies AG at MEDICA in Dusseldorf, Germany, TracPatch™ stole the show as a new revolutionary wearable device empowering at-home patient recovery and remote monitoring for effective managed care. Introduced to the international stage at MEDICA, TracPatch passively and continuously tracks a user’s daily activities, including exercise compliance, range of motion, and daily goals, while maintaining the critical connection between the healthcare provider and patient. Through data collection and monitoring, TracPatch™ ensures patients will receive effective care based on their individual needs. “As a first-time attendee and exhibitor at MEDICA 2017, we were thrilled and humbled by the response TracPatch received. MEDICA provided TracPatch an exceptional introduction to the global healthcare industry. We were able to connect with key decision makers and leaders in the MedTech space and overall I would say MEDICA was a huge hit,” said Michael Droege, Vice President of Global Business Development at Consensus.